Restored biodiversity from the mountain to the sea. Our committed team has been working to restore biodiversity together with the amazing support of our local community. The focus of the Karioi Project encompasses Karioi and its coastal escarpments and forest, wetlands, freshwater and marine habitats and communities to the north and south of the mountain from Whāingaroa Harbour to Aotea Harbour. Our seabird monitoring programme identifies key seabird breeding sites and targets predator control in these areas. Our monitoring programme aims to give seabirds the best chance at success by protecting active breeding burrows and monitoring nesting success. As well as managing large-scale stoat control on over 2,300 hectares – with more than 45km of trapping lines – we are also implementing intensive predator control of stoats, rats and feral cats around key Oi habitat to protect breeding sites along the Karioi coastline. We currently have over 2000 traps deployed across Karioi Maunga and throughout the Whāingaroa coastline and community. As a significant proportion of Karioi Maunga and adjacent coastline and landscape is privately owned, active and willing landowner participation is vital to providing effective predator control. We aim to work with all willing landowners around Karioi and the Whāingaroa community through our “Backyard Programme”. We even have a trap library that provides traps for low to no cost for backyard trappers! This program is strongly aligned with the Predator Free 2050 vision for New Zealand. For landowners and families that want to participate we can provide advice, training, and subsidised traps. Contact us and we will help set you up. Our vision is that through the Karioi Project people will develop an enhanced curiosity of the natural world and a love for nature. We hope this curiosity and love will motivate them to take action in caring for our beautiful environment. The Karioi Project provides an educational programme centered on the diverse ecosystems of Karioi with a focus on water, land and sea including coastal forest, freshwater streams, marine rocky shore, and inter-tidal ecosystems. 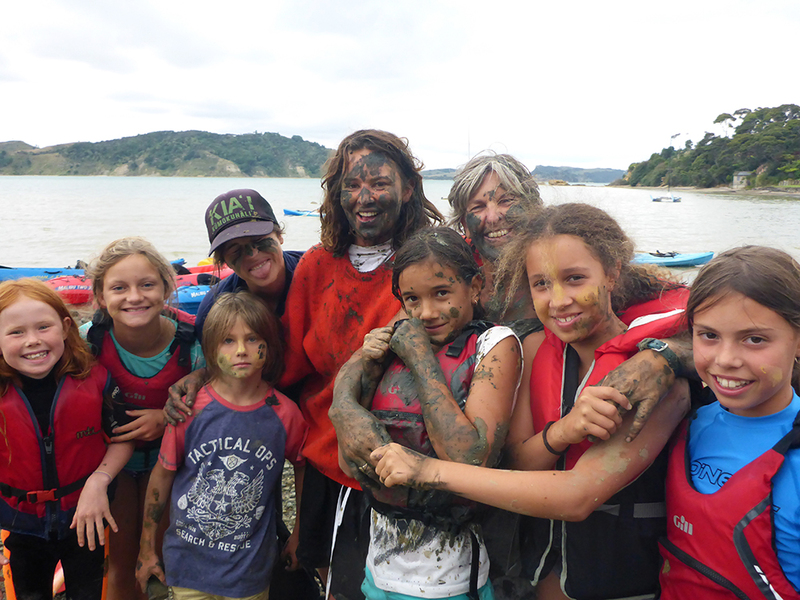 We actively encourage the involvement of all families and individuals - including children and youth through our workshops and educational programmes, Karioi Kids and Karioi Rangers, and by working together with our local schools including a brand new NCEA level Maanaki Ao - Earthcare Programme at Raglan Area school. A year-round after school environmental programme runs in Term 1, 2 and 4 for Karioi Kids (7-8 years) and Karioi Rangers (9-13 years). Work days, trap-checking, monitoring, workshops, community events and camps are often inclusive of all ages. Because seabirds are especially threatened by marine plastics we started New Zealand’s first long-term marine litter survey program in 2018 - consisting on regular beach transect studies and beach cleans together with our partners the Whāingaroa Environment Centre. Contact us for the next survey date! We are co-creating the Maanaki Ao programme together with Raglan Area School and Papa Taiao Earthcare to deliver an environmental and outdoor education program for Year 11 to 13 students. Through the programme students participate in practical, hands-on activities in challenging physical environments and gain both NCEA Unit and Achievement Standards at Level 2 and 3. We love school visits - and also support schools that are interested in establishing predator control at their own school. We can also provide educational presentations and fun, adventurous experiences for young and old when you visit Karioi.